Imagine a future where complex decisions could be made faster and adapt over time. Where societal and industrial problems can be autonomously solved using learned experiences. It’s a future where first responders using image-recognition applications can analyze streetlight camera images and quickly solve missing or abducted person reports. It’s a future where stoplights automatically adjust their timing to sync with the flow of traffic, reducing gridlock and optimizing starts and stops. It’s a future where robots are more autonomous and performance efficiency is dramatically increased. An increasing need for collection, analysis and decision-making from highly dynamic and unstructured natural data is driving demand for compute that may outpace both classic CPU and GPU architectures. To keep pace with the evolution of technology and to drive computing beyond PCs and servers, Intel has been working for the past six years on specialized architectures that can accelerate classic compute platforms. Intel has also recently advanced investments and R&D in artificial intelligence (AI) and neuromorphic computing. Our work in neuromorphic computing builds on decades of research and collaboration that started with CalTech professor Carver Mead, who was known for his foundational work in semiconductor design. The combination of chip expertise, physics and biology yielded an environment for new ideas. The ideas were simple but revolutionary: comparing machines with the human brain. The field of study continues to be highly collaborative and supportive of furthering the science. As part of an effort within Intel Labs, Intel has developed a first-of-its-kind self-learning neuromorphic chip – the Loihi test chip – that mimics how the brain functions by learning to operate based on various modes of feedback from the environment. This extremely energy-efficient chip, which uses the data to learn and make inferences, gets smarter over time and does not need to be trained in the traditional way. It takes a novel approach to computing via asynchronous spiking. We believe AI is in its infancy and more architectures and methods – like Loihi – will continue emerging that raise the bar for AI. Neuromorphic computing draws inspiration from our current understanding of the brain’s architecture and its associated computations. The brain’s neural networks relay information with pulses or spikes, modulate the synaptic strengths or weight of the interconnections based on timing of these spikes, and store these changes locally at the interconnections. Intelligent behaviors emerge from the cooperative and competitive interactions between multiple regions within the brain’s neural networks and its environment. Machine learning models such as deep learning have made tremendous recent advancements by using extensive training datasets to recognize objects and events. However, unless their training sets have specifically accounted for a particular element, situation or circumstance, these machine learning systems do not generalize well. The potential benefits from self-learning chips are limitless. One example provides a person’s heartbeat reading under various conditions – after jogging, following a meal or before going to bed – to a neuromorphic-based system that parses the data to determine a “normal” heartbeat. The system can then continuously monitor incoming heart data in order to flag patterns that do not match the “normal” pattern. The system could be personalized for any user. This type of logic could also be applied to other use cases, like cybersecurity where an abnormality or difference in data streams could identify a breach or a hack since the system has learned the “normal” under various contexts. 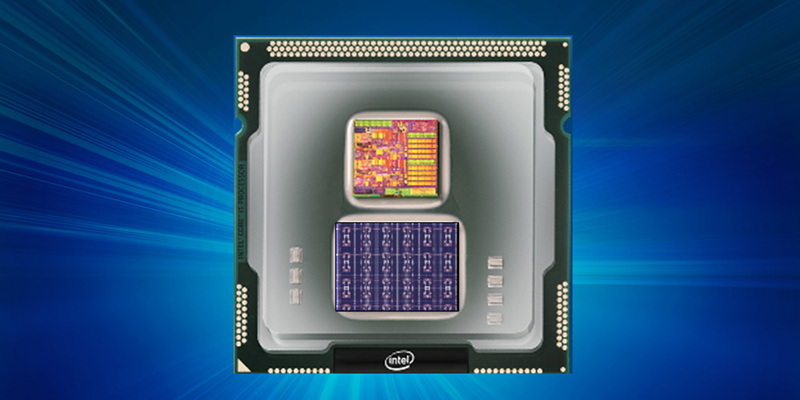 The Intel Loihi research test chip includes digital circuits that mimic the brain’s basic mechanics, making machine learning faster and more efficient while requiring lower compute power. Neuromorphic chip models draw inspiration from how neurons communicate and learn, using spikes and plastic synapses that can be modulated based on timing. This could help computers self-organize and make decisions based on patterns and associations. The Intel Loihi test chip offers highly flexible on-chip learning and combines training and inference on a single chip. This allows machines to be autonomous and to adapt in real time instead of waiting for the next update from the cloud. Researchers have demonstrated learning at a rate that is a 1 million times improvement compared with other typical spiking neural nets as measured by total operations to achieve a given accuracy when solving MNIST digit recognition problems. Compared to technologies such as convolutional neural networks and deep learning neural networks, the Intel Loihi test chip uses many fewer resources on the same task. The self-learning capabilities prototyped by this test chip have enormous potential to improve automotive and industrial applications as well as personal robotics – any application that would benefit from autonomous operation and continuous learning in an unstructured environment. For example, recognizing the movement of a car or bike. Further, it is up to 1,000 times more energy-efficient than general purpose computing required for typical training systems. In the first half of 2018, the Intel Loihi test chip will be shared with leading university and research institutions with a focus on advancing AI. Fully asynchronous neuromorphic many core mesh that supports a wide range of sparse, hierarchical and recurrent neural network topologies with each neuron capable of communicating with thousands of other neurons. Each neuromorphic core includes a learning engine that can be programmed to adapt network parameters during operation, supporting supervised, unsupervised, reinforcement and other learning paradigms. Fabrication on Intel’s 14 nm process technology. A total of 130,000 neurons and 130 million synapses. Development and testing of several algorithms with high algorithmic efficiency for problems including path planning, constraint satisfaction, sparse coding, dictionary learning, and dynamic pattern learning and adaptation. Spurred by advances in computing and algorithmic innovation, the transformative power of AI is expected to impact society on a spectacular scale. Today, we at Intel are applying our strength in driving Moore’s Law and manufacturing leadership to bring to market a broad range of products — Intel® Xeon® processors, Intel® Nervana™ technology, Intel Movidius™ technology and Intel FPGAs — that address the unique requirements of AI workloads from the edge to the data center and cloud. Both general purpose compute and custom hardware and software come into play at all scales. The Intel® Xeon Phi™ processor, widely used in scientific computing, has generated some of the world’s biggest models to interpret large-scale scientific problems, and the Movidius Neural Compute Stick is an example of a 1-watt deployment of previously trained models. As AI workloads grow more diverse and complex, they will test the limits of today’s dominant compute architectures and precipitate new disruptive approaches. 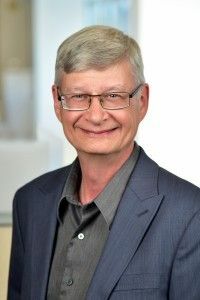 Looking to the future, Intel believes that neuromorphic computing offers a way to provide exascale performance in a construct inspired by how the brain works. I hope you will follow the exciting milestones coming from Intel Labs in the next few months as we bring concepts like neuromorphic computing to the mainstream in order to support the world’s economy for the next 50 years. In a future with neuromorphic computing, all of what you can imagine – and more – moves from possibility to reality, as the flow of intelligence and decision-making becomes more fluid and accelerated. Intel’s vision for developing innovative compute architectures remains steadfast, and we know what the future of compute looks like because we are building it today. Dr. Michael Mayberry is corporate vice president and managing director of Intel Labs at Intel Corporation.